Before the new regulated landfill sites were created, unregulated dumps were spread all over the New-Brunswick landscape. These sites took in waste of all kinds, including hazardous materials. Dumped materials were burned to help control noxious odours and pests, but this polluted the air and created health hazards. Leachate (liquid from the water passing through the decomposing waste) from these dumps could flow into neighbouring waterways and contaminate the local residents’ potable water sources. In 1985, during a meeting between representatives of municipalities and local service districts (LSDs) of the Nepsiguit-Chaleur region to review the “Policy on regional management of solid waste” from the Government of New Brunswick, a provisional committee was established. This committee had the mandate to lay the groundwork for the construction of a sanitary landfill that will accept waste from citizens of the region. On January 14, 1986, the committee recommended that the landfill is built at the Red Pine Station, in the parish of Allardville. On October 28, 1987, the Nepisiguit-Chaleur Solid Waste Commission was incorporated under the “Clean Environment Act”. 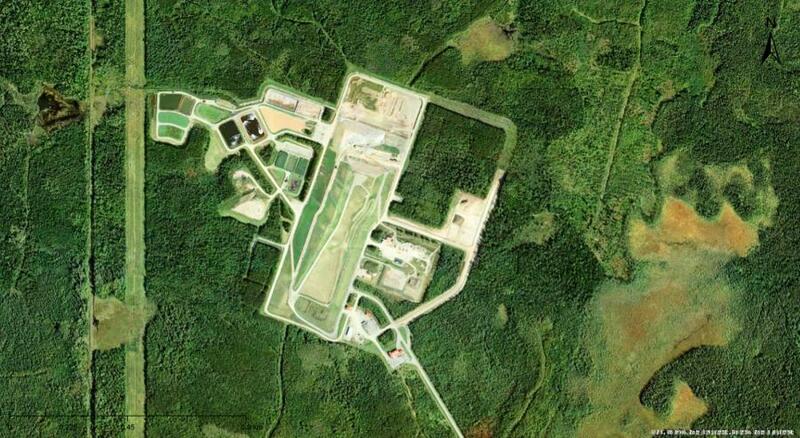 On October 23, 1989 the Nepisiguit-Chaleur Solid Waste Commission inaugurated its state-of-the-art Red Pine technical landfill site, one that complies with stringent environmental standards. The leachate is collected and treated to avoid contamination of watercourses. Since 2008, the landfill gas is collected and burnt to reduce emissions of greenhouse gases from anaerobic decomposition (without air) of organic matter stored in the landfill. In 2006, the Nepisiguit-Chaleur Solid Waste Commission launched a recycling program with a voluntary collection system (large blue containers). The year 2008 marked the beginning of household hazardous waste and electronic waste collections organized in our communities. While in 2009 we started to give workshops on composting in our communities, in 2010 we introduced a recycling program for small batteries and compact fluorescent light bulbs (CFLs) in partnership with businesses and educational institutions in the region. In 2011, we received the results of a feasibility study on the curbside collection of recyclables and presented those results to municipalities and local service districts (LSDs) in Northeast New Brunswick. After consulting the representatives from municipalities and LSDs, we have implemented a pilot project in 2012: door-to-door collection of recyclables in Petit-Rocher, which enabled us to test the proposed model. After successful results, we gradually implemented this model throughout the Chaleur region. All residents of our region have access to this service since early 2015. On January 1st, 2013, the Nepisiguit-Chaleur Solid Waste Commission and the Belledune District Planning Commission were merged to create the Chaleur Regional Service Commission. Not only does the Chaleur Regional Service Commission operate the Red Pine Solid Waste Management Site, it also is attentive to its citizens’ needs so that it can offer more environmental services thus reducing the amount of buried waste materials. In this way, the Chaleur Regional Service Commission is moving towards an ecoresponsible waste management, contributing to sustainable development of our region.